The second of the two LMS prototype Co-Co Diesel Electrics built in 1947-48 by English Electric, No. 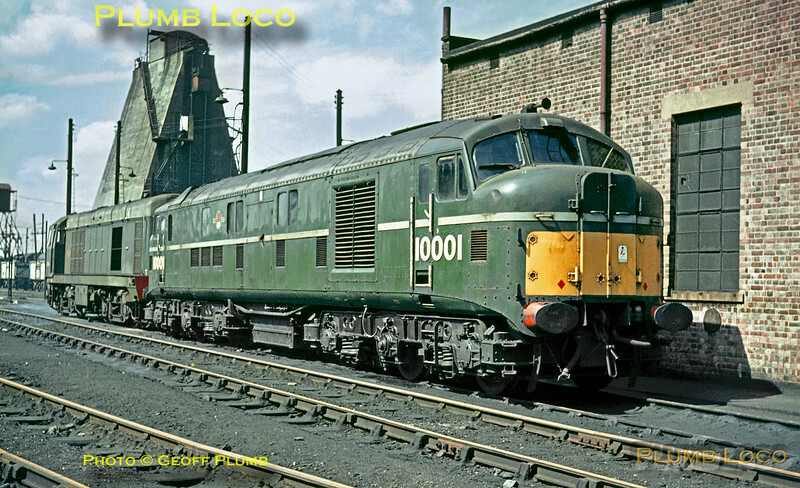 10001, sits on shed at Willesden Junction MPD (1A), together with an English Electric Type 1 Bo-Bo (later Class 20) on Sunday 3rd May 1964. No. 10000 had already been withdrawn the previous December, but 10001 survived until March 1966. It was sold for scrap to Cox & Danks and cut up in North Acton in February 1968. Slide No. 633.